It's no secret that Kindergarten – 12th grade is quickly moving to an eLearning environment. Research has shown that implementing 1:1 technology programs in the classroom can significantly increase student motivation, engagement and collaboration. Accordingly, schools across the country are purchasing laptops, Chromebooks and tablets, pushing the boundaries to further education. Students can use eLearning apps to make learning fun, while also allowing students to cooperate on assignments thereby encouraging teamwork. However, there are some questions to consider before implementing 1:1 technology programs. If a student forgets their password, how can they do their homework if the helpdesk is closed? If new students enroll, how quickly can they gain access to their resources? When the school year is over, how can group access be revoked and new levels of access granted? How will the IT department manage all the individual credentials -with different complexities requirements - per application & per user? Tools4ever's cloud based Single Sign-On software, HelloID was designed to address these exact questions. HelloID provides your students and staff with a modern and secure cloud-based portal for all of their applications. By integrating HelloID, it is easy for your faculty, staff and students to quickly find and access all of their approved applications. Once authenticated to the portal, no additional logins are required. Security is maintained and users can get started immediately with the selected applications. When bringing technology into the classroom, it's important to cater for students of all ages and abilities. Remembering a username and password can be particularly challenging for students who are very young or have special needs. HelloID's QR code login offers a simple way to gain to access to their eLearning environment. The QR code login facilitates access without the help of a teacher or peer, contributing student's independence and maximizing valuable learning time in the classroom. All a student needs to do is hold the QR code in front of the camera and they are in. Many schools opt to put the QR codes on the front of a student's journal or on their desk. If a QR code is lost, administrators can instantly print a new one that is unique to that student, and the missing QR code becomes inactive. The QR code login can be used on its own or combined with another authentication factor depending on the access policy in place. HelloID supports all common Single Sign-On (SSO) protocols to automatically identify and authenticate users. Thanks to the plug and play nature of HelloID, the product implementation is accomplished in a matter of hours with a relatively low upfront investment. HelloID supports all major devices common to 1:1 programs such as iPads, Chromebooks and PCs. 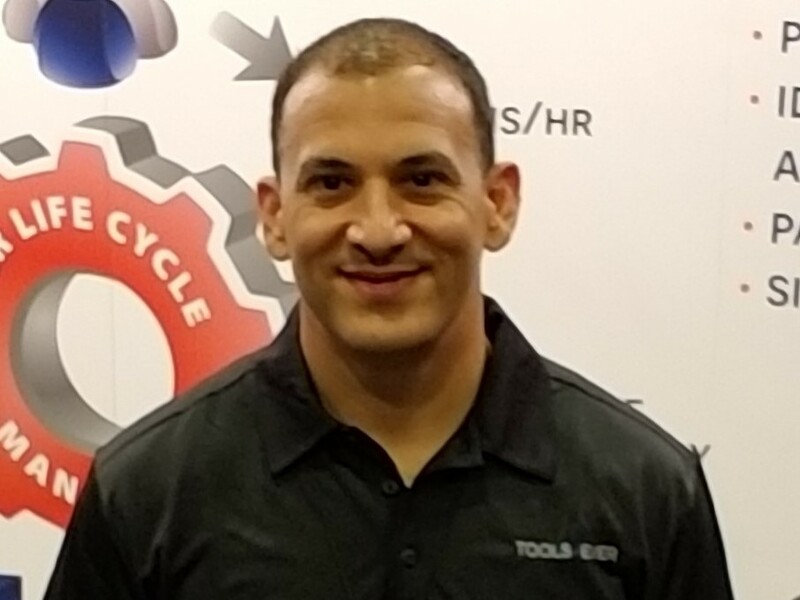 Tom Fasano is the Education Account Manager with Tools4ever, covering the South East United States. He possesses a Bachelor's degree from the University of Delaware. Tom enjoys assisting clients who need help with automating user and password management, and working with Pre Sales to create custom demonstrations and solutions to automate and streamline these processes. When not working, Tom enjoys being a husband and father. With so many passwords to remember today, the answers are abundant: Single Sign-On solutions (SSO) have been around for a while now, but for good reason. They are extremely helpful for many areas of your organization, with minimal effort to implement and use. Here are four simple ways SSO is beneficial.